Weight loss is always a challenge. Weighing yourself immediately after wearing a "sweat" suit, getting into a sauna, or finishing an intense workout might (or might not) show a loss on the scale. Remember that it is temporary water loss that will come back after you rehydrate yourself by drinking. Remember you're trying to lose fat, not simply "weight" or water weight. Here are a few points to keep in mind when you're trying to lose weight. Slower is better. 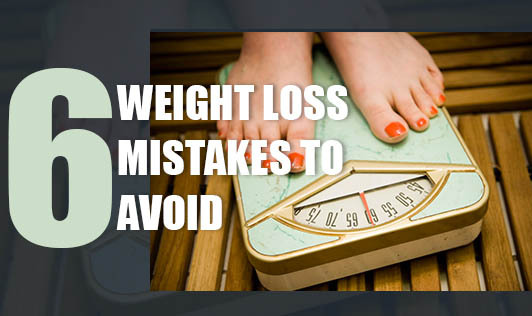 The first mistake dieters make is having unrealistic weight loss expectations. Studies show that individuals who rapidly lose weight are more likely to gain it back. So if you've lost a few kilos this month, excellent! Everyone is different. While some people lose a lot of weight in the first few weeks, others might not lose any weight for a few weeks. Although this can be frustrating when you're doing everything right, it's not a reason to give up. Sometimes it just takes a little while longer to see the results of your hard work reflected on the scale. Weight loss is rarely consistent. Many people lose a lot in the first few weeks, and then their weight loss slows down considerably. It's totally normal to have weeks when you lose more than expected, and weeks when your weight remains the same despite your consistent efforts. Weight loss is not immediate. Cutting calories today through diet and exercise will not necessarily show up on the scale at the end of the day or even by tomorrow. Your weight can fluctuate from day-to-day for reasons that have nothing to do with your diet and exercise program. Setbacks are normal. No one is perfect. You can expect to hit some bumps in the road, no matter how hard you're trying. The important thing is not to let those bumps get you totally off track, but to learn from them and move forward. Eating less isn't always better. A lot of people assume that the less you eat, the faster you will lose. One of the biggest mistakes dieters make is not eating enough. Your calorie range is based on your current weight, goal weight, how aggressive your goal is - whether you want to lose weight quickly or slowly and how much exercise you are doing. Your recommended calorie range might seem like a lot of food especially if you are accustomed to fad, restrictive diets. Hopefully these tips will help you avoid many of the common pitfalls dieters face, and deal with the ups and downs of weight loss more easily. Hang in there! It's not always easy, but you can do it! Make small changes to achieve big results.